How come we can get a man on the moon but a sink always leaks? 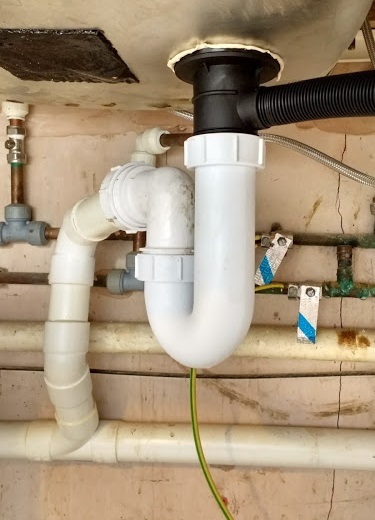 Plumbers will tell you that the simple task of replacing a sink trap is one of the most trying jobs they do. After twenty years our sink started to leak. How difficult could that be to mend? Six attempts later, two trips to the D-I-Y store and five hours work, and I say “very”. Water has a way of getting through every connection, new part, washer and layer of putty. The plastic parts are cheap and they’re simple to assemble. They are the same parts that professional plumbers use, you can’t upgrade to a product with better performance. Their cheapness encourages the amateur to do the job himself, but there’s a knack to it and in the end, you have to employ someone who knows what he’s doing. Himself. It struck him dead, and serve him right. In other words, nothing really works.